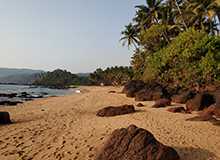 Just 4 km away from the famous Calangute Beach in Goa, Arpora is a great place to stay in this tourist-friendly state. FabHotel The King's Court Calangute is one of the top budget hotels near Arpora that is close to beach and has an outdoor pool and bar. Offering modern amenities and amiable hospitality, FabHotel La Flamingo Calangute is another preferred option for a pleasant stay in Goa. 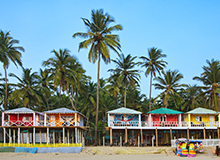 In case you are looking for budget hotels near Morjim Beach, check out FabHotel Retreat Morjim which offers a comfortable stay at affordable price. 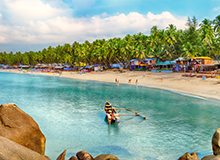 Arpora is a picturesque village, close to Calangute and Baga Beach, which has maintained its countryside ambience despite all the recent tourist developments around it. Arpora is home to the illustrious St. Joseph High School, built in 1886. 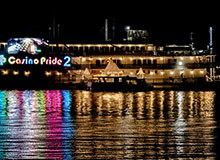 It also has St. Sebastian Chapel and the Grand Pinto mansion to boast about. The biggest feast of the year in Arpora is the annual St. Sebastian feast, in which all the locals participate irrespective of religion. Arpora is most famous for the Saturday Night Market that offers everything from handicraft items to international delicacies. This market remains open only during the tourist season, from the New Year to the end of April. 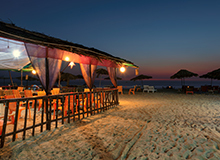 Foodies will have no dearth of choices, given Arpora’s proximity to Baga and Calangute. 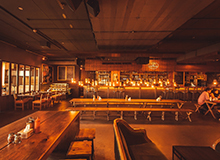 J&A’s in Baga is an upmarket restaurant offering Italian cuisine and Lila Café, again in Baga, is famous for its breakfast. Nick’s Place in Arpora is a must-visit too. 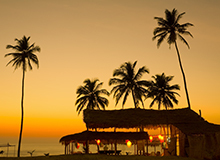 Jazz up your nights in Club Cubana which is among the best nightclubs in Arpora, Goa. 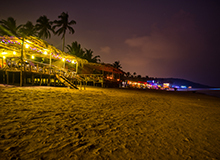 The other spots nearby are Café Mambo and the World Famous Decades bar in Calangute, and Cocktails and Dreams in Baga. 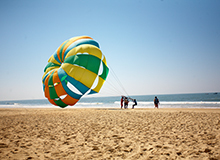 For the convenience of travelers, there are many hotels near attractions in Arpora, Goa. How to reach Arpora The best way to reach Arpora from Goa International Airport (39 km) or Thivim Railway Station (18 km) is to hire a pre-paid taxi. If you are on a budget, you can take a bus to Baga or Calangute and then take an auto-rickshaw to reach any of the hotels in Arpora. 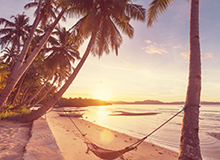 Travelling to Goa from Mumbai is one of the popular routes to get there, and there are many budget hotels in Mumbai that can be booked for a comfortable overnight stay before heading towards Goa.